Having a newborn baby doesn’t mean the end of your social life. Here’s some tips to finding your new normal and making room for your mates. Having a baby is a huge milestone in life. When you become a parent your priorities instantly change, even if you think they won’t. Whilst your friends will be really happy for you, they may not understand how you feel or what you’re experiencing, especially if they don’t have children yet themselves. 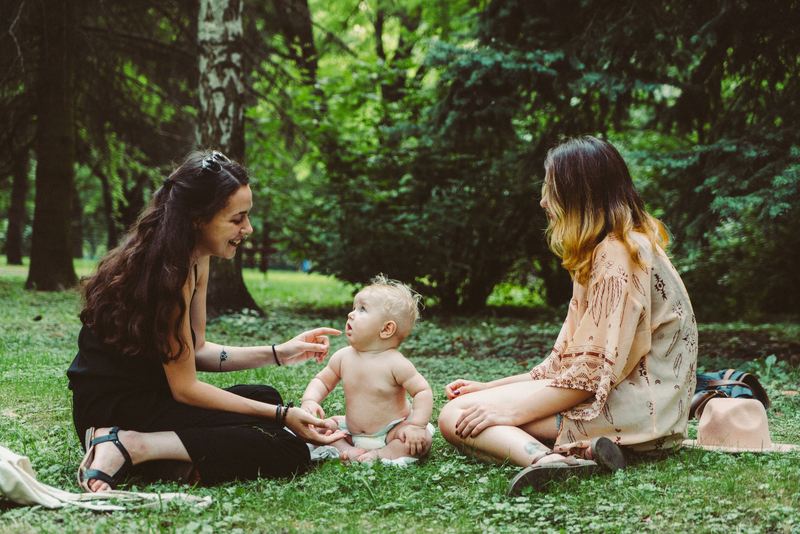 So what do you do when your new baby impacts your friendships? Read on to find out more. Becoming a parent is overwhelmingly amazing and challenging in equal measure. If your friends have yet to experience this you might find that they have trouble relating to the way your world has changed. With time and energy being re focused onto caring for your baby, you could find that your common interests aren’t so common any more. Of course not! In some cases your friendships might become even closer as a result of you having a baby. It might be an opportunity for your friend to step in and help out, supporting you in a way that brings you closer together. You might also find a renewed bond over your shared love of your baby. Whilst friends who have babies may be able to offer more practical advice, don’t write off your friends who have yet to procreate. They may also be able to bring a fresh perspective and can offer support in different ways. Seeing your mates, having fun and getting out of the house are all important for your happiness, so don’t be afraid of getting a date in the diary. Just make sure you warn your friends that they might need to be flexible; babies can throw a spanner in the works at the last minute! You can also make sure that your friends feel included in your new life as a parent. Even if they don’t have children, your friends are interested in your life and will enjoy hearing what it’s like to be a parent. They might be able to offer a fresh perspective or reality check that could help you. Accepting that the way you spend time with your friends can help you accommodate them into your new life as a parent. Your friends will more than likely understand that you can party into the small hours anymore and be more than happy to go for a walk in the park with you and baby or come over for dinner. Remember though that, sometimes, finding a babysitter or asking your partner to look after your little one and heading out with your friends is a great way to let off steam and maintain a bit of balance in your life. I don’t have any friends who are parents – how do I meet new people? If none of your friends are in the same boat as you, you might want to find people that can understand how your life has changed and the ups and downs of being a new parent. Joining new parents groups, local play group or making conversation at the local play centre can be a great way of finding like-minded people in your community. How do our eyes change at each life stage?